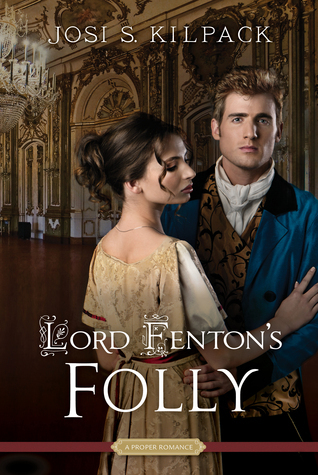 Lord Fenton's Folly was another fabulous read from this author! Full of witty banter, attraction, romance, family, English society, heartbreak, and friendship. The characters were perfectly flawed, trying to find their place, and dealing with a love/hate relationship that had the promise of something more. With plenty of rough situations, expectations of appearance, and family expectations, the plot moved at a steady pace with intense moments weaved in-between. An enjoyable read from beginning to end! Lord Fenton, or Charles, started off as being a character that played the part of a fool. He was so focused on embarrassing his father and being at odds with him that he didn't even consider the affect on himself or his mother. His antics carry a price, one he didn't see coming and needed to rectify immediately. It was a turning point as he tries to wade through this persona he has created and the man he wants to be and hopes he can become. Alice is a smart, sweet girl. She has a childhood connection with Charles and one that his mother depends upon and develops. She wants to find her place and love and is hoping that Charles might be what she needs. Both characters struggle and make bad choices. I liked that they both had to come to figure out who they wanted to be and what they wanted and then had to learn to trust in and lean on each other. The romance developed slowly through the story, which I appreciated. Alice and Charles have a love/hate relationship, which added quite a few sparks and some cut-throat banter. I loved how Charles' mother was somewhat the glue that kept things from falling apart until Alice and Charles became their own glue. There were quite a few twists and not everything was a happy twist. 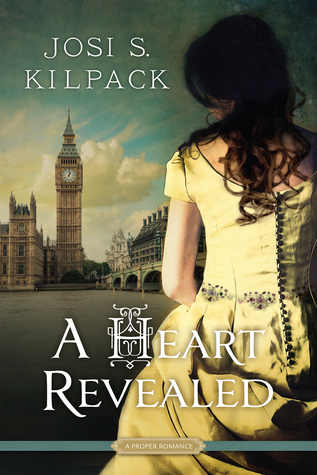 Kilpack is very good at conveying pain, heartache, and longing, but also allowing her characters to wallow so that they might have such joy in the end. Overall, another great release from A Proper Romance line of books. This is one that will take it's place on my shelves and be re-read in the future. Content: Some innuendo, but clean. Fenton groaned and put his saucer back on the tray, making an instantaneous decision that eased his mind quite a lot. To look at every woman he met as a potential wife was irritating, and after only two weeks he was quite tired of it. Perhaps the solution was to orchestrate a match that would not lay all aspects of matrimony at his feet all at once. Perhaps treating it as a business arrangement would help it to be exactly that, thereby freeing him from all the discomfiting realities he was not yet prepared to face. "I leave for Fentonview on Tuesday and shan't be back for a week. Courting is such a boring prospect, and you yourself said that to become infatuated with anyone might become a complication." He paused, considered one last time what he was going to say next, and decided he felt as good about it as could be expected. "You like Alice Stanbridge and feel she would make a good wife for me?" Lady Chariton looked confused and perhaps a bit concerned. "I do, but-"
"Then that is good enough for me," Fenton said, rising to his feet and smiling broadly at his mother, who stared back at him in surprise. "I do find her appealing and what's more she is not a silly little thing without a practical thought in her head." His mother's eyes widened and her eyebrows rose upon her forehead. Fenton struck a pose of consternation, with his thumb and forefinger on his chin as he looked toward the window a moment, then nodded crisply and turned back to his mother who still looked shocked by his pronouncement. "Yes, I think that Alice Stanbridge is exactly what I should like in a wife, and so I shall see to it before I leave for Hampshire-I see no reason to wait until Michaelmas and might as well get it over with." He leaned in and kissed his mother's hand. "Thank you for your help, Mama. I shall let you know how she responds to my proposal." Josi S. Kilpack hated to read until her mother handed her a copy of The Witch of Blackbird Pond when she was 13. From that day forward, she read everything she could get her hands on and credits her writing “education” to the many novels she has “studied” since then. She began writing her first novel in 1998 and never stopped. Sheep’s Clothing won the Whitney award for Mystery/Suspense in 207 and Wedding Cake, book twelve in the Sadie Hoffmiller Culinary Mystery series won in 2014. Josi was also the Best of State winner in Fiction for 2012. Josi currently lives in Willard, Utah, with her husband, children and super-cute – but not very friendly – cat.